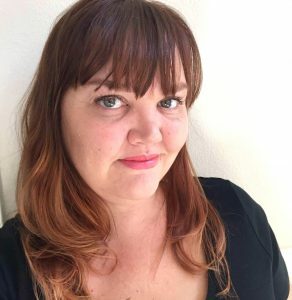 This post is written by me on behalf of Liz Lange and Ergobaby. Product was provided. I started blogging on 2009 after finding out I was pregnant with Wonder Boy. I had left my stressful newspaper reporter job and wanted to share news with my fiends and family and also to keep my typing skills in shape so I could go back to it. Well, five years a later and two baby boys and I’m still in the blogging game. I’ve watched it change so much and walked my own path blogging – but after a break last year I wanted to jump in with both feet and do what I could to help support my family with my keyboard. 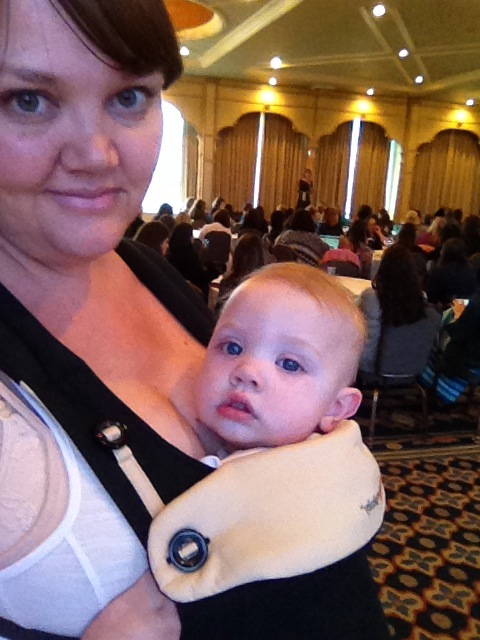 I was invited to Baby Bloggy Boot Camp and, after I found out Ergobaby was one of the sponsors, got really excited. But I had more than getting a goodie bag out of it. I knew this mini camp, meant for newer mom bloggers, would help get me back in the game. For PR and brands, mom bloggers (or as I dislike hearing, ‘mommy bloggers’) are becoming a standard for getting the word out about their product or service. Learning how to do it right, do it well and do it uniquely gives an advantage for helping get some different products in the house or making money for the growing demands of family. Making money? Yep, right up my alley right now. The camp was a reminder to be unique, take great pictures and make sure I tell a lot of my own stories, not just sponsored content. It’s been hard getting in front of a computer lately! Anyone else? And the most important thing I keep reminding myself- ‘Don’t be afraid to give up the good to go for the great!’ I have spent a lot of time lately on things that haven’t brought me a lot of joy. Time’s up. Especially with two littles instead of one. I don’t have time to flip through a magazine with a mobile and curious 9-month-old baby, let alone on writing blog posts that don’t benefit me. So my takeaway from the camp, which I urge all my fellow bloggers to do, is look at what you are aiming for and decide if it is the best you can aim for. Aim that bit higher. Aim a lot higher. Cut out what doesn’t benefit you. Even though I am probably not going to be in maternity wear ever again, I took a look at the Liz Lange maternity dresses at the Baby BBC. I dealt with really hot weather both times I was pregnant (being from SoCal) and they looked like they would have kept me looking cool and fabulous. Because pregnant women deserve to feel like they look fabulous, right? I’ve been playing around with the yet-to-be-released Ergobaby 360– and so has my husband. I’m so glad to have a carrier that accommodates both of us. I have no prior experience with an Ergo but always had a crush on carriers – but since I had an independent first born I didn’t really ‘need’ one then. I sure do with this mama’s boy – I can walk laps around the house and lull him to sleep in it too! I promise, a full review coming very soon on this. I sent the Ergo wrap on to my cousin who just had a baby. She is very petite and is happily wearing her new little girl around the house in it- being a wrap-style carrier owner for two different babies, I recommend them for new moms who end up holding their baby for long periods of time. So Baby Bloggy Boot Camp? More than swag, but inspiration to reach higher and work more efficiently toward higher goals. What inspired you to start blogging, if you are a blogger? If not, what brings you to a blog?